Atlas Obscura: Some designs, as with the Communist Propaganda set, arose from ideology. Some were born out of wealth, such as the opulent rock crystal and silver set from 16th-century France. And some were made from necessity, such as the cardboard pieces created during the 900-day siege of Leningrad in World War II. 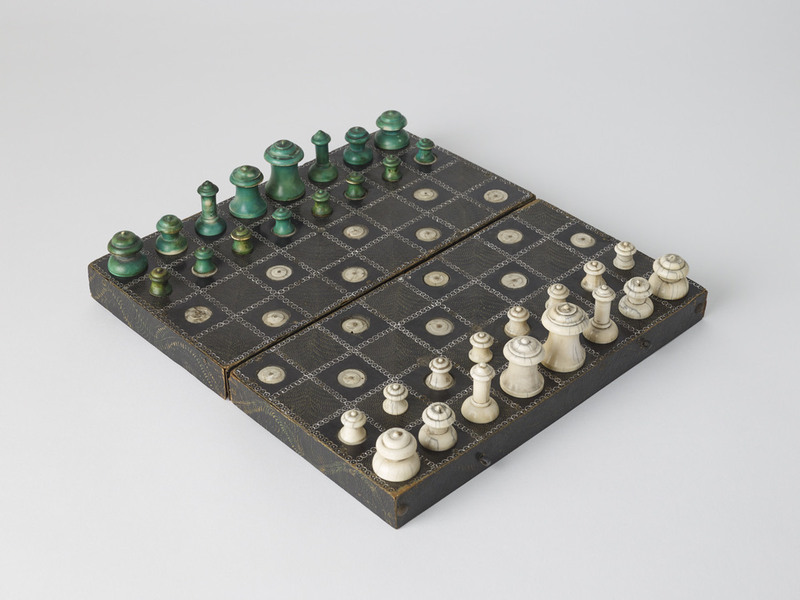 A John Company—the informal name for the East India Company—chess set, made in India c. 1830. 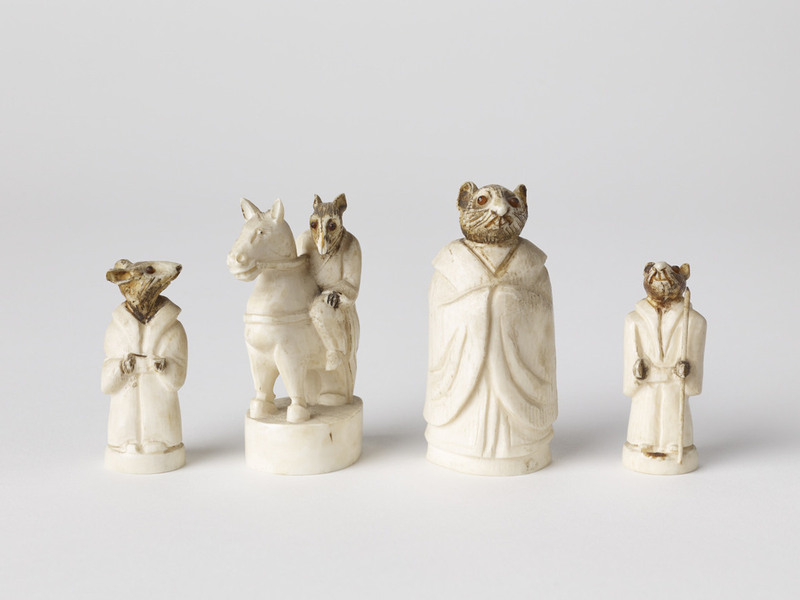 A Chinese chess set from the early 18th century. The pieces are depicted as rats, the first animal in the Chinese zodiac. Carved from ivory, the eyes are pieces of ruby and amber. 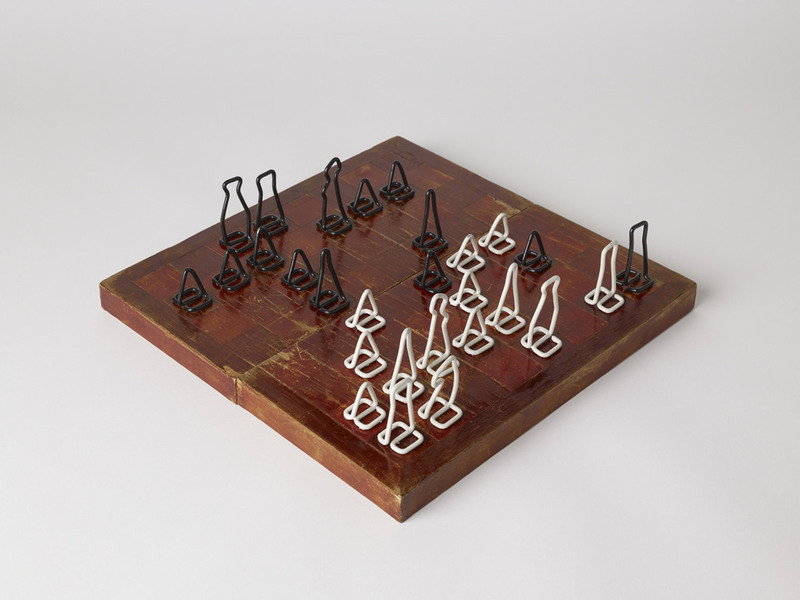 An improvised Russian chess set, made from bent wire in a gulag in the 1970s. The set designed for cosmonauts on board the 1970 Soyuz 9 mission. 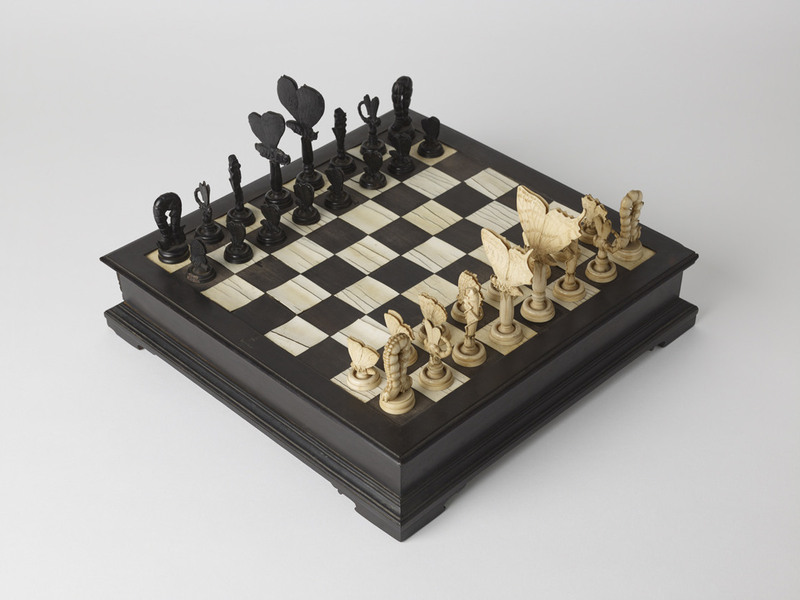 An insect chess board, created in Italy in the late 18th century. 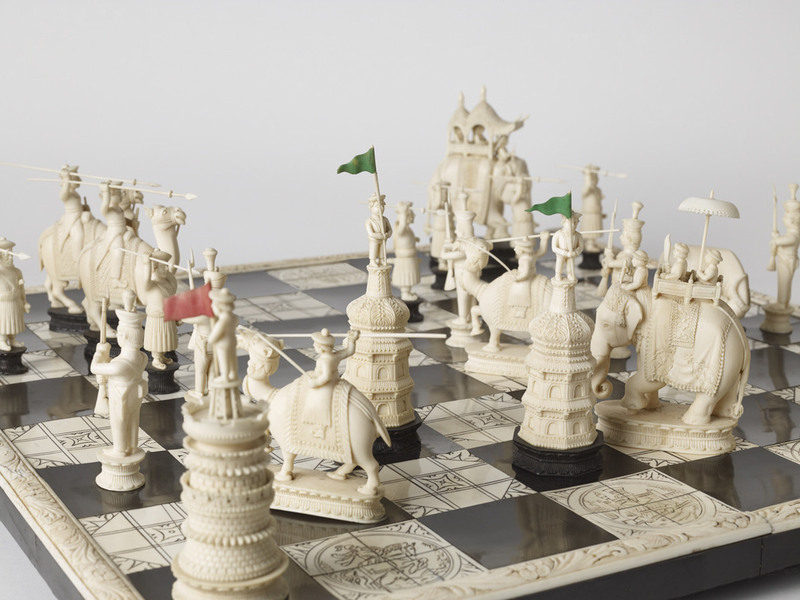 An ivory and mother-of-pearl chess set created in South Asia. In 1712 it was gifted by the Emir of Bukhara to a Polish prince. Master Works: Rare and Beautiful Chess Sets of the World — This book brings together some of the most beautiful and unusual chess sets ever made. Over hundreds of years, from five continents, they are culled from private collections and museums, including: 200 year-old sets made by nameless Indian craftsmen; sets by Peter Carl Fabergé; sets from Soviet gulag prisoners; and sets by leading artists of the 20th century, including Max Ernst. Chess set architecture — Daniel Weil has created a new design for the chess set which is making its debut at the World Chess Candidates Tournament in London. D&D maps and cartography Dyson Logos is a prolific and talented creator of Dungeons and Dragons maps. 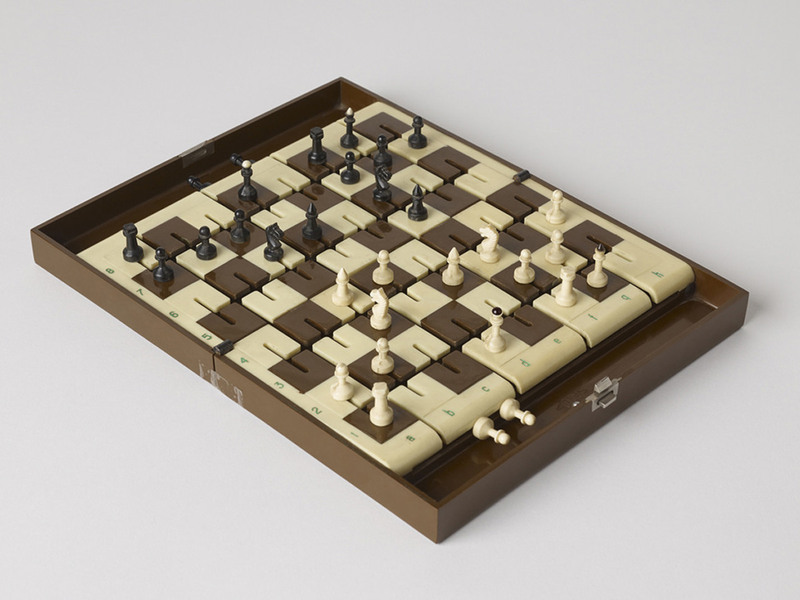 Chess, one of the world’s most popular games, has inspired artists for hundreds of years. Though apparently offering a limited canvas – each set has 32 pieces, each board 64 squares – sets have nevertheless been designed in countless ways, using almost every imaginable material: from precious metals, to ivory and rock crystal. I love that there are so many different types of unique chess sets. The cool thing about each one is that it tells a different unique story. I think a fun tradition would be to find a unique chess set when traveling to remember the places and cultures that you have visited.